2. Fun fact: The Arabic name for Cairo is al-Qahirah, which means "the conqueror," "the vanquisher" or "the victorious." 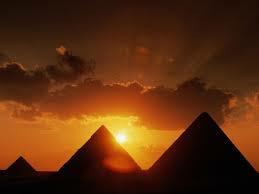 Most Egyptians call Cairo "Masr", the Arabic for Egypt. Cairo is also called the City of 1000 Minarets, and Umm al-Dounia, the "Mother of the World." 3. Useful fact: The currency is the Egyptian Pound (LE, or EGP), and electricity runs at 220 volts, 50 Hz, with standard two-pin plugs. 4. Weird fact: The Holy Family are said to have sheltered at the site of Abu Serga Church after they fled to Egypt. 5. Random fact: There are believed to be over 4.5 million cars in Cairo. 6. Fun fact: Cairo is home to the only remaining ancient wonder of the world. Yep, one of those big stone Toblerone-shaped things. 7. Useful fact: The time zone in Cairo is GMT+2; the country dialling code is +20, and the area code is 02 (drop the 0 if calling from abroad). 8. Interesting fact: Cairo was founded in 969 by the Fatimid Caliphate from Tunisia, though there were earlier Islamic, Byzantine, Roman, Persian and Pharaonic settlements, including the legendary Memphis. 9. Weird fact: If you live in Cairo you probably support either al-Ahly or Zamalek football club. Their rivalry is intense, yet they share the same stadium! 10. Interesting fact: Cairo hosts one of the oldest universities in the world, al-Azhar University, founded in 975 CE. And Naguib Mahfouz, winner of the Nobel Prize for Literature, was born in Cairo in 1882. 11. Random fact: Sunday is the first day of week; the weekend is Friday and Saturday. 12. Fun fact: The Nile runs through Cairo, and there are two large islands in the middle of the city.